Ssshhh...how well can you keep a secret in Cape Town? You'll have to learn the Art Of Duplicity | Eat. Play. Drink. Cape Town. THERE have been vicious accusations over the years that us Capetonians are “cliquey”. This is blatantly untrue; we only want to safeguard our special spots against outlanders. Actually, that’s not entirely accurate. We want to protect them from everyone, even fellow Capetonians, because we’re selfish like that. There have been some memorable ones. The swimming pool at the Cape Milner was one for ages but it doesn’t count anymore because now you have to pay to get in there. I have another but damned if I’m sharing it here. 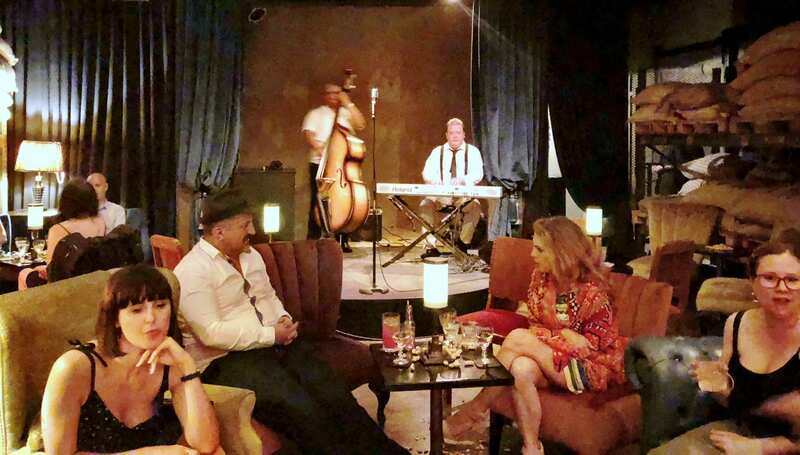 Julep was undercover for a while and we have only ourselves and Dave Ferguson to blame for it becoming the best-kept-not-a-secret-in-town. The Gin Bar behind Honest Chocolate is a more recent one, and I’m really glad we discovered it before it became so wildly popular. Now there is Art Of Duplicity, about as close as damnit to any speakeasy I have vividly imagined. If you’re reading this for the address, or the secret password…spoiler alert: I’m not telling. Part of the experience is tracking this information down yourself. 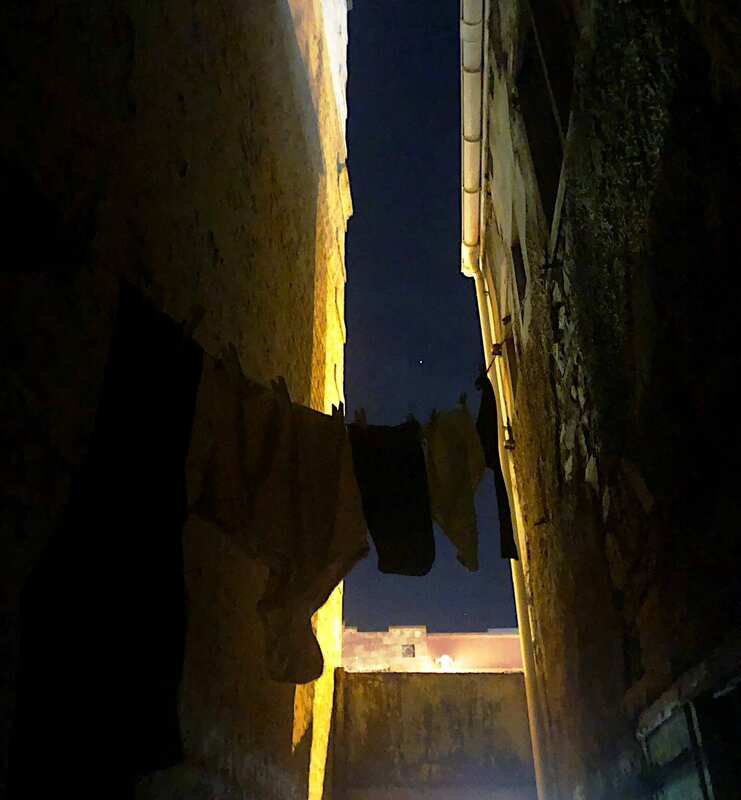 Sure, I’m lucky enough to know people in high places (or high people in low places but that’s a tale for another day) so our passage through a back alleyway draped with undies on a washing line and entrance through a bathroom was conducted with ease. As was the sliding of the secret door, and the sweeping back of the velvet curtains to reveal the interior of this warehouse by day, hot little bar by night where you really, really want to be this season. 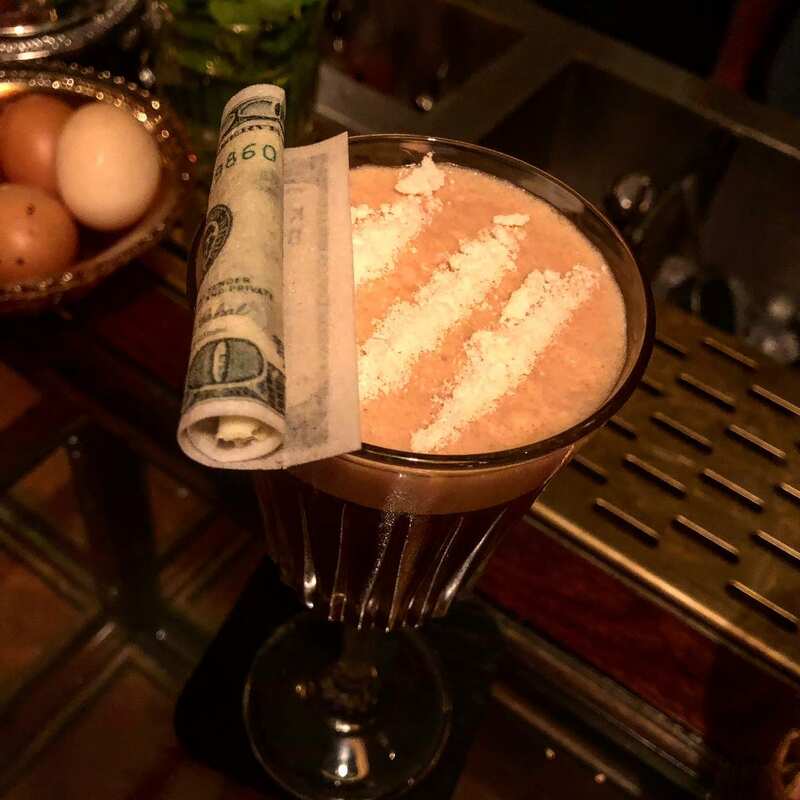 Here you will find a cocktail menu stamped into gold metal, with wildly creative drinks that look amazing, and taste wonderful. Sacks of monkey nuts spill over onto the tables and you’re encouraged to crack them open and toss the shells over your shoulder onto the floor (look out for other patrons behind you first). Ease your derrière into velvet chair and toe-tap along to the jazz duo (the good kind of jazz, not the kind that sounds as if everyone is playing a different tune), or belly up to the bar which is also a glass display cabinet filled with barman Brent Perremore’s collection of vintage cocktail shakers. 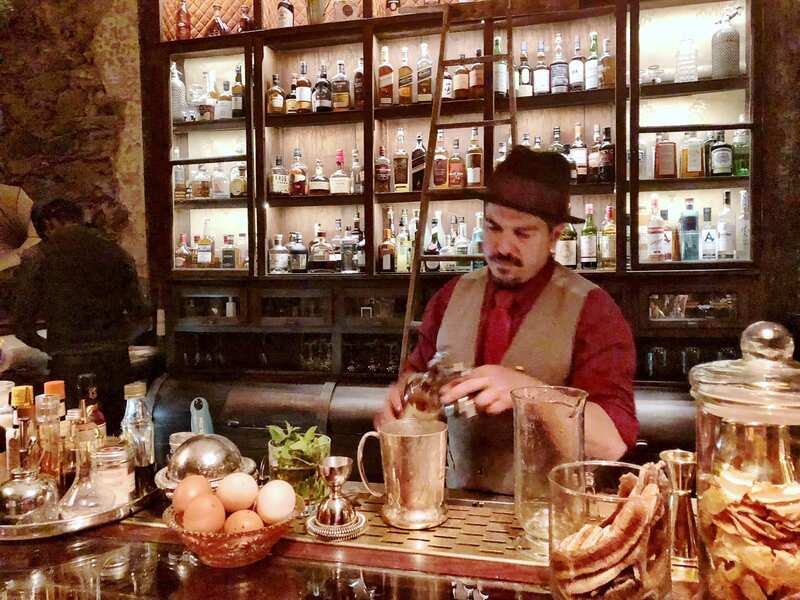 There’re a few stories to be told while he’s mixing, muddling and shaking. “My thinking behind the current cocktail list was to be thought-provoking and a little controversial in some of the drink serves,” he comments. No kidding, hey? See pic above. As creative and innovative as the cocktails are there is also a strong focus on classic cocktails and good old fashioned hospitality. Here is a quote from the man who had this idea but if I tell you his name, you’re immediately going to know where the speakeasy is located. So in the interest of keeping it hush hush, I’m sure he’ll understand: “The vision was to transport ourselves back into the 1920s – we want you to be looking over your shoulder wondering when the police are going to burst through the door, throw the lights on and strip search us against the wall.